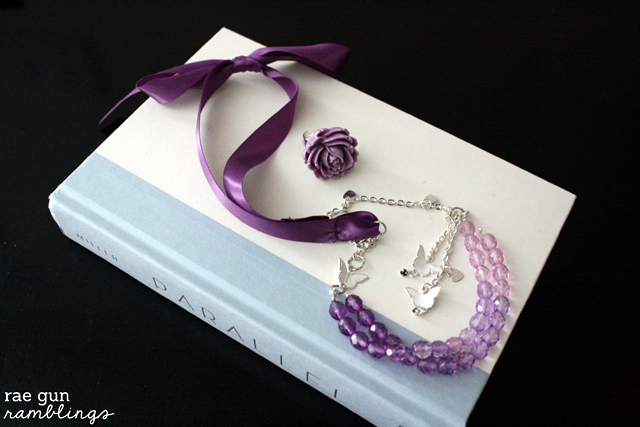 When I received a box full of Martha Stewart Jewelry making supplies with gorgeous Czech beads and rhinestones matching some of ribbon I had on hand I knew exactly what I wanted to make with them, a DIY statement necklace. For the longest time I have been wanting a statement necklace with a ribbon closure, I just think they are so elegant and feminine. 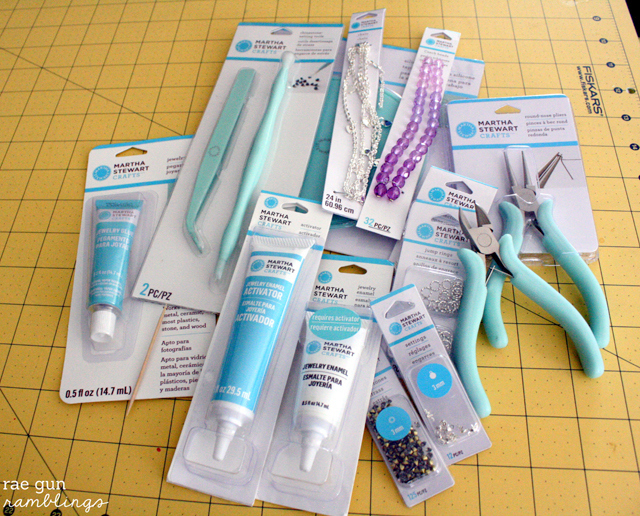 Before I get to the tutorial I have to say I was been blown away by the awesomeness of this new line of jewelry crafting supplies from Martha Stewart. There’s such a variety from clay which you can use to make your own charms, enamel paints and glazes, and beautiful beads, chains and charms you can really make something for pretty much any style. Here’s just a small sample of what I received. I’m not going to lie I may have also visited the display at my local Michaels Craft store before my box arrived to lust after these goodies. I’m going to share exactly how I made my necklace but I encourage you to tweak and alter things to suit your own personal taste. 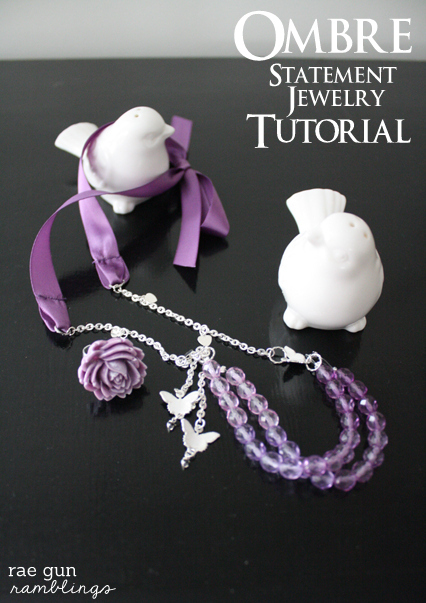 Start by applying the enamel to the butterfly charms. You’ll want 1 part enamel to 2 parts activator. You only need a small amount. Using a toothpick mix well and then apply to charms. Let air dry up to48 hours until full set. Once the butterflies are ready, snip the loom off of one side of the rhinestone setting with wire cutters (you only need one loop). 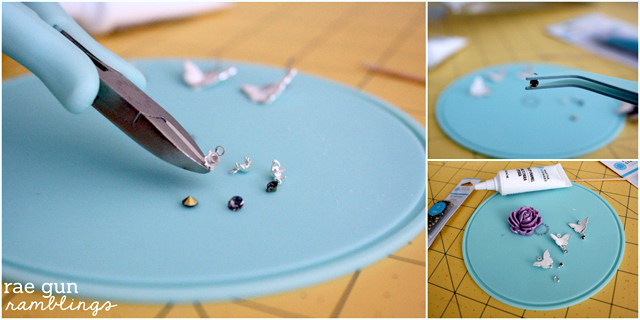 Then add a rhinestone to each setting and fold prongs down. I found the fatter part of the tweezer to work well for this job. Now take a small jump ring and attach the rhinestones to the bottom of two of the butterfly charms and to the third rhinestone but do not attach it to the butterfly. Next string the beads onto the transparent thread. I just restrung them exactly as they were in the packaging since I wanted to keep the ombre look. Fold the end of the the thread to form and loop and fasten by flattening a crimp onto each end. Repeat on the other side and with the other string of beads. You should have two strings of beads with looks at each end. Put one end of both strands on a large jump ring. Repeat on the other side. Cut three 3 inch sections of chain. 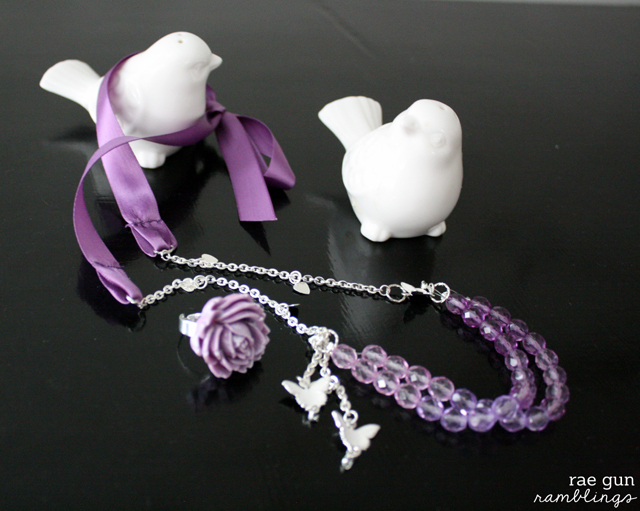 To the right side of the bead strings attach the butterfly charm that does not have a rhinestone on it and the loose rhinestone using a large jump ring. Using another small jump ring attach one segment of chain. To the left side of the bead strands string one segment of cut chain through the jump ring you have attached. 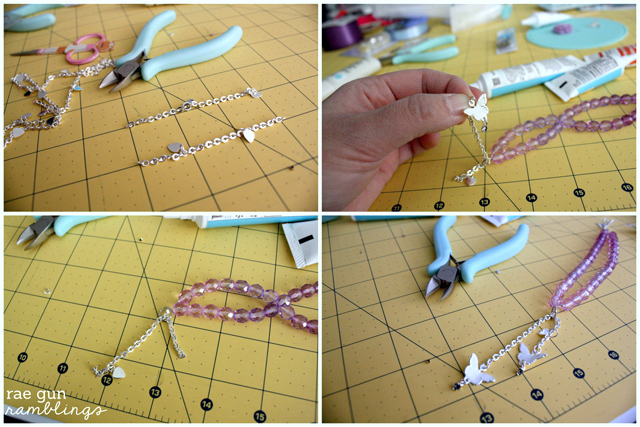 Using the small jump rings attach the butterflies (with attached rhinestones) to both ends of that chain. Now still on the left side attach the remaining 3 inch segment of chain to the jump ring. And on both sides attach another large jump ring to the end of the chains. This is where you will attach the ribbon. 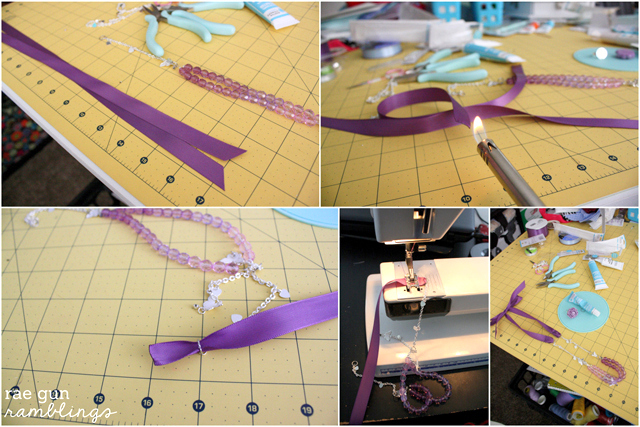 Cut two 17 inch pieces of ribbon and run the ends over a flame to prevent unraveling. 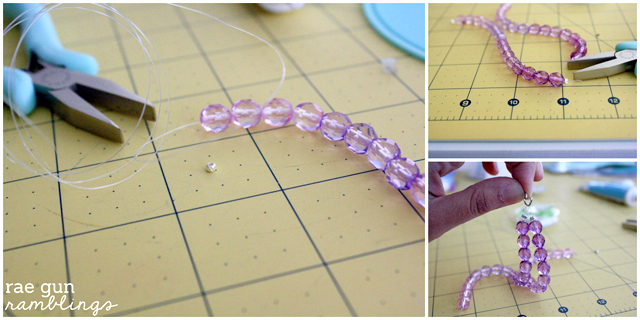 String the ends of the ribbon through the jump rings, sew down and you’re done. To make the rosette ring simply paint on some jewelry glaze and then glue a ring setting to the back of the glazed rosette and you’re good to go. Be sure to visit Plaid Crafts on Facebook, Pinterest & Twitter for more creative inspiration and ideas. I received product and payment via The Blueprint Social (www.theblueprintsocial.com) for this post, however, opinions are 100% my own. For more great jewelry products check out what some of my blog friends have made with Martha Stewart Jewelry supplies. This is gorgeous! You are so incredible! I love the colors and that is looks like a statement but also delicate enough for any style. LOVE! Love the cute little flower ring too! 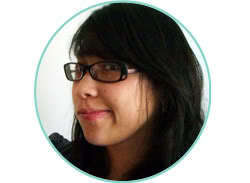 cute site! I love how this came out! Also, I just wanted to note that I think your new wordpress blog is looking really good. :) Very clean and organized. 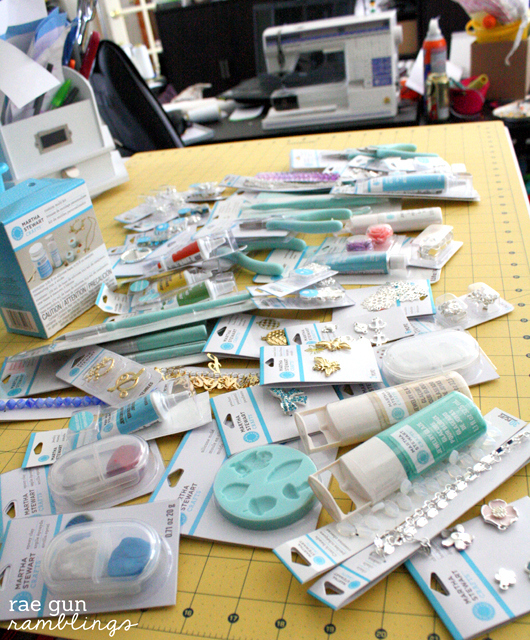 I completely understand about standing in Michaels and lusting after additional supplies. I’ve only made one project so far and can’t wait to play with more. Gorgeous pieces! I LOVE this so much – your pictures and tutorial are fabulous too! Thanks so much for joining the party and hope to see you next week!